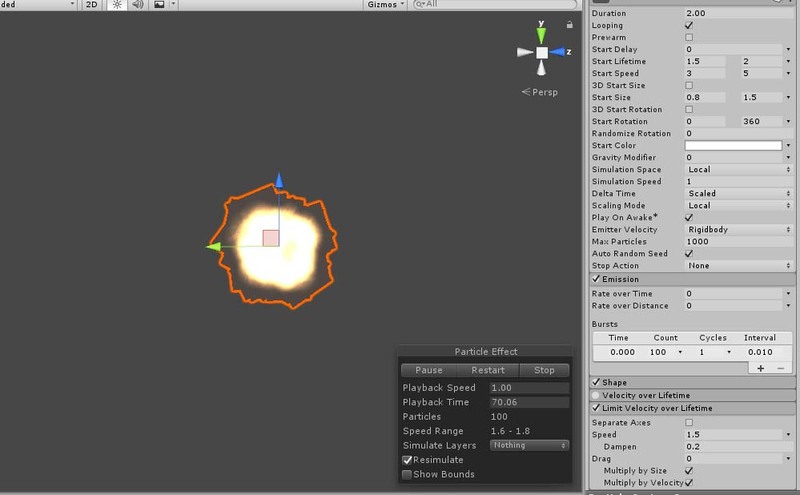 In this article, I introduce how to make an explosion effect from a reference image of a deep-fried chicken (Karaage in Japanese) in Unity. This approach was popular a long time ago but I will dare to introduce it today! Firstly, go shopping for some deep-fried chicken for a reference image. It doesn’t matter where to buy it, at a hyper store or a convenience store. You can cook it by your self, of course. The shown below is what I bought this time. The deep-fried chicken I bought for a reference image. By the way, I ate them up after taking the photos. 3.6 The setting of the main module. 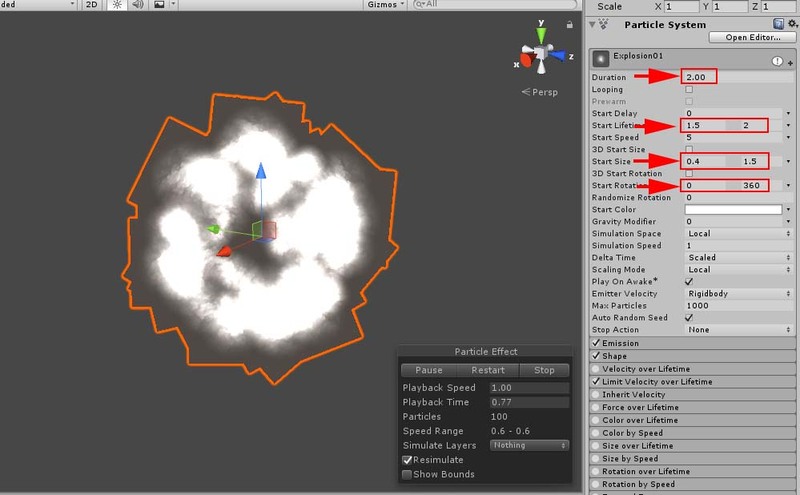 It creates particles in the Scene. 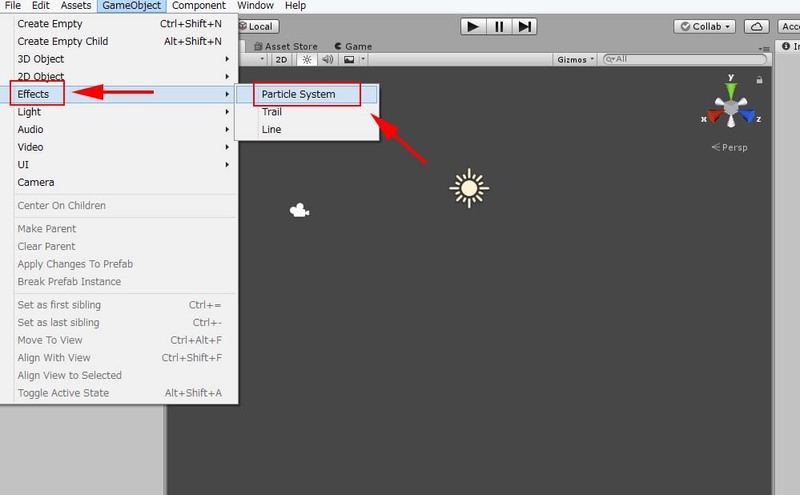 In the Shape module, set Shape to “Sphere” and set Radius to 0.2. Create a new Material for the effect. 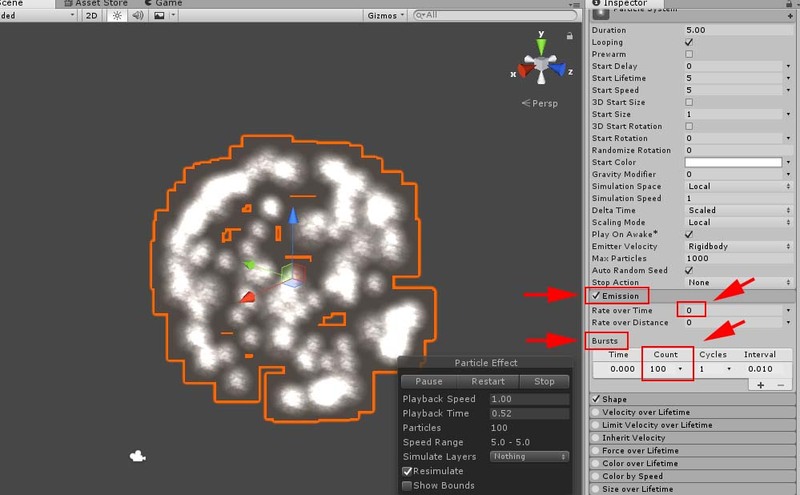 Set Material’s Shader to Particle > Additive. 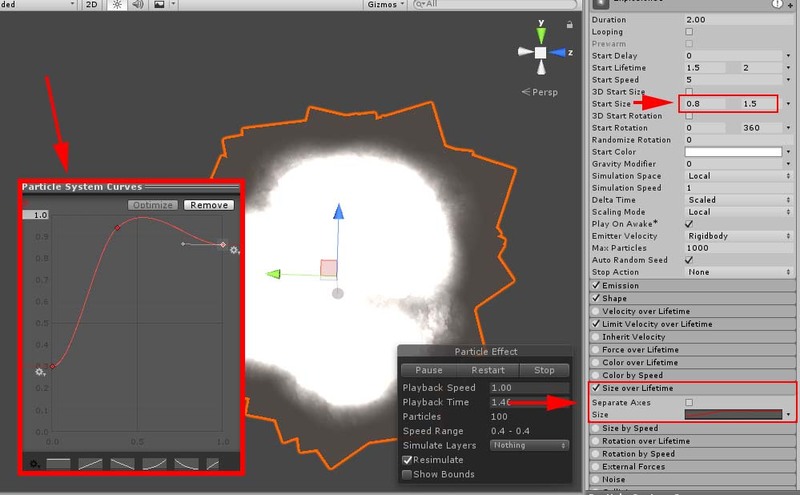 Prepare a texture for the effect. 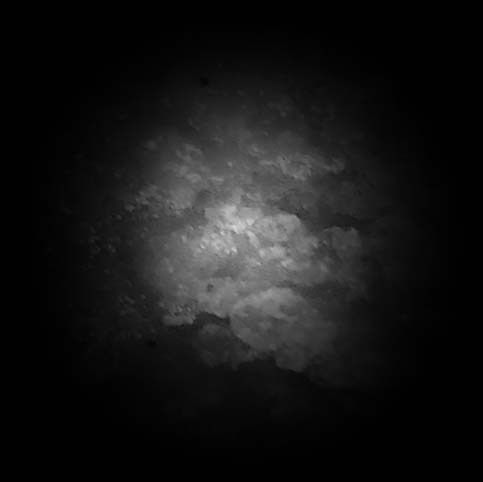 I picked up a piece of deep-fried chicken from the image, and make a texture blurred around the boundary. The image of deep-fried chicken processed for the effect. 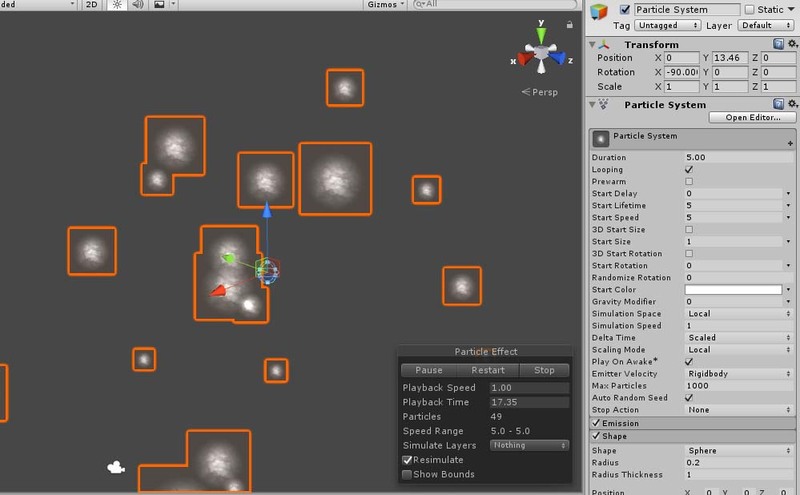 Assign the image to “Particle Texture”. Assign “Deep-fried Chicken” to the texture! 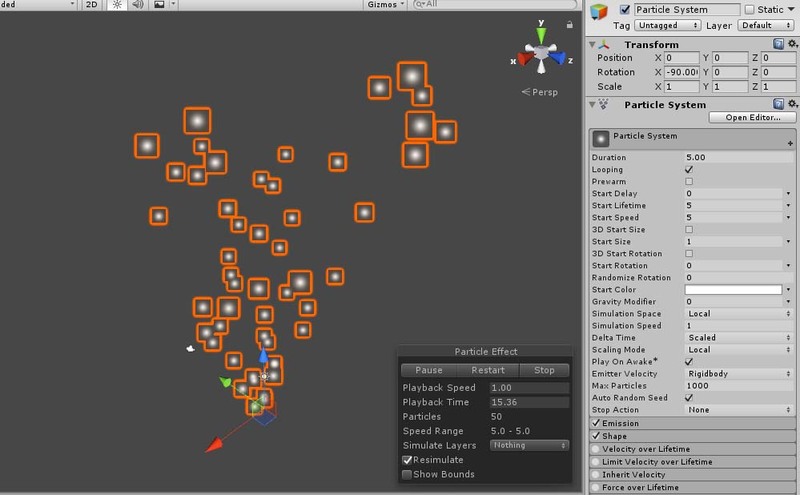 Play the particles to check. The particle became “Deep-fried chicken” now. 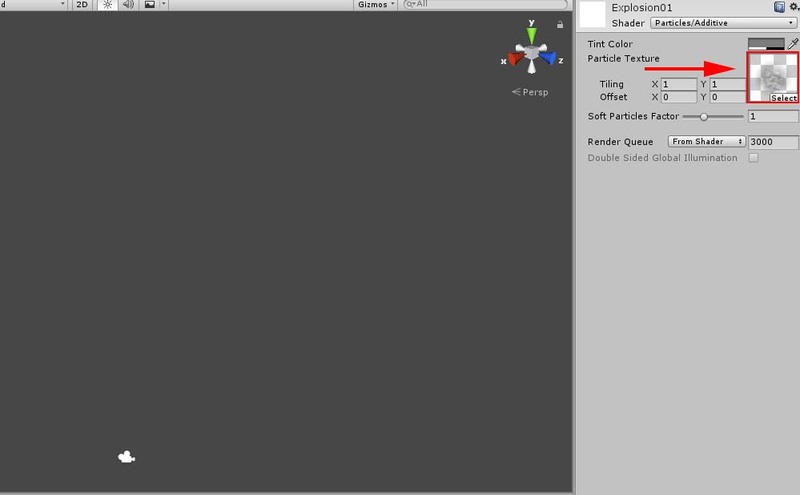 Set the parameters of the Emission module. Set “Rate over Time” to zero. Add a Burst with Count set to 100. The setting of the main module. Let’s set the parameters for the main module. Set the “curve for Size over Lifetime”. Now, I adjust the “Start Size” once more. Make a gradation that starts with orange-type colour. 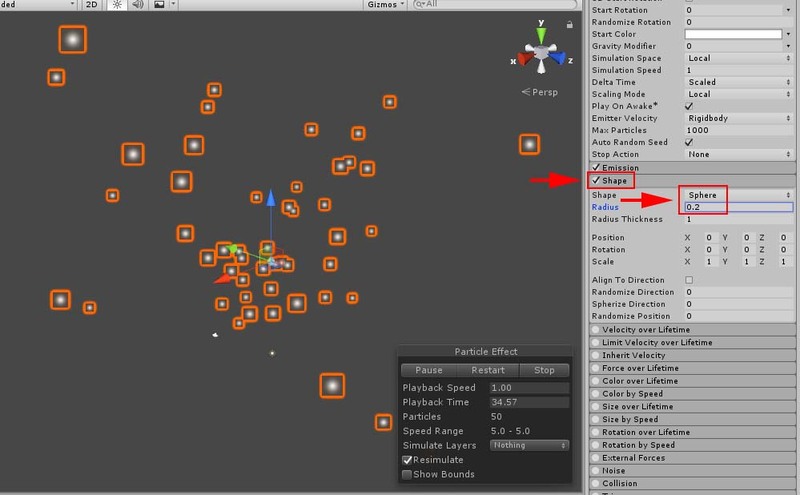 Set the parameter for Alpha so that it becomes transparent gradually. 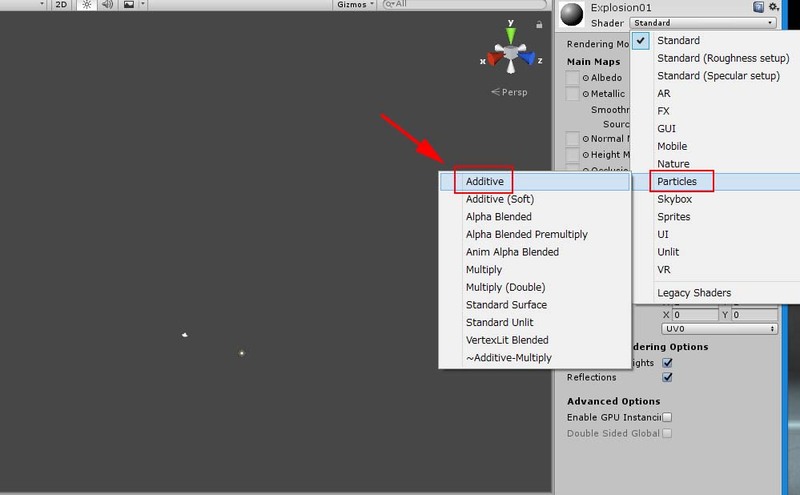 Adjust the parameters again while checking how the explosion looks. It ended up with the shown below. The complete image of an explosion effect. 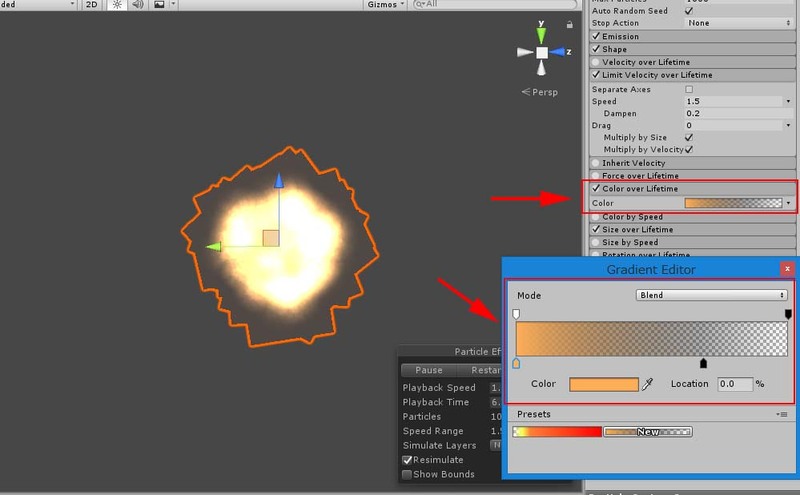 In this article, I introduced how to make an explosion effect from the image of deep-fried chicken as a reference. 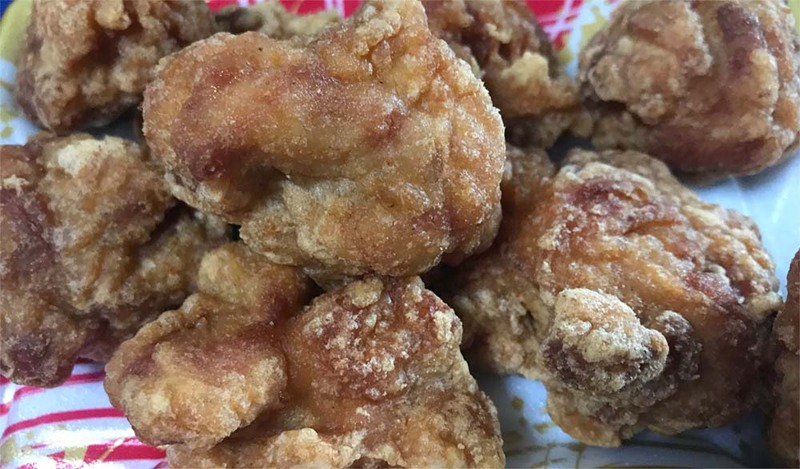 Deep-fried chicken, or Japanese Kara-age, is tasty not only for dinner but also as a reference image!